Get Paid As A Winner For 1st & 2nd This Saturday! 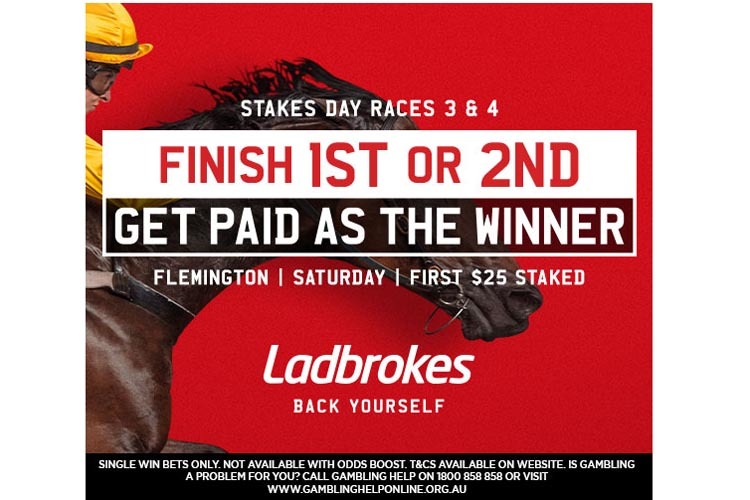 Ladbrokes are giving customers the chance to build a bank early on Saturday by paying out 2nd placegetters as the winner at Flemington. Stakes Day rounds out what has been a spectacular Melbourne Cup Carnival for 2018. 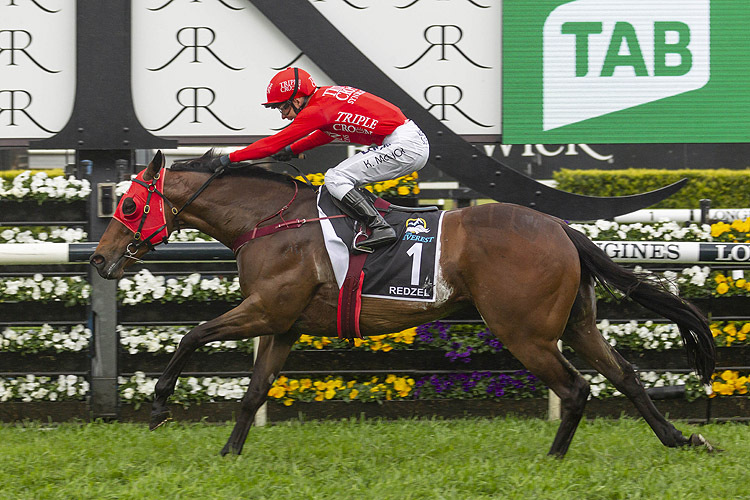 But don’t expect the pace on-track to slow, with two Group 1 races – the Seppelt Mackinnon Stakes and the VRC Sprint Classic – to put on a real show for racing fans this Saturday. 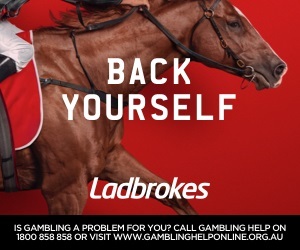 Back yourself this Saturday at the Victoria Derby with Ladbrokes. Get Paid As The Winner For 1st OR 2nd This Saturday! Pierata won a much deserved G1 in the 2019 All Aged Stakes at Randwick on Saturday.